The headline here is somewhat overdone, as the main point at the end of the article is consolidation and dropping share, and product, values are predicted to continue falling until 2105/2016. It is important to see the top manufacturer lists of 2011 and 2007, to illustrate the 'first mover' advantage doesn't exist (on the manufacturing side). Subsidies for solar, particularly in Europe, led to rapid production growth through the lure of decent profits. It encouraged plenty of new competitors to try their hand in the sector and as the new entrants gathered, particularly in China, prices began to fall rapidly – 75 per cent since 2008 and 45 per cent last year alone. The UN's Nuclear Energy Agency and the International Atomic Energy Agency report that nuclear power will expand between 44 and 99 percent by 2035, with known supply ample for a century. It seems striking that a disaster that captured the world's full attention might have so little lingering effect. 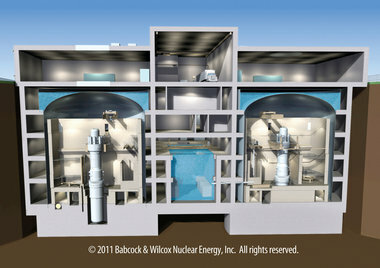 Gary Dyck, the head of nuclear fuel cycle and materials at IAEA, told Reuters that "we see [Fukushima] as a speed bump. " " If the government chooses the latter path, it won’t be embarking alone. Germany, which decided last year to entirely phase out it’s nuclear generating capacity, is forecasting a greater than 60 per cent share for non-hydro renewables by 2030 and Denmark intends to supply 100 per cent of its entire energy supply (electricity, heating, industry and transport) by renewable sources by 2050. While Ontario has yet to set such lofty goals, there may be a window of opportunity open next year when the government reviews whether a higher target for renewable electricity supply is warranted." From the National Inventory Report filed in 2009 for Germany "...in the public electricity and heat production sector CO2 emissions have been growing again slightly since 1999." Their emissions fell with the 2009 recession but returned to trend - increasing - after that. Readers of this blog will know there are multiple indications Germany will abandon it's coals as it fails to control costs. The German Energy Blog is not prone to hyperbole - so "reign in skyrocketing cost" caught my attention. "In view of the short comments of both ministers and the upcoming political summer break it seems too early to draw precise conclusions from the ministerial interviews, yet they seem to indicate that the government is trying to prepare the public for a slower implementation of the energy policy shift. How the government wants to reign in the skyrocketing cost remains, however, unclear." An article on a financial site covering a philosopher tackling current attitudes, and consequent politics, surrounding the environment and climate change. "Intelligent responses to environmental degradation are therefore required rather than radical “belt-tightening” and “privation” in the form of a retreat from nuclear power and even domestic heating. “Yes, we need to make some savings. But wealth reproduces itself and life cannot simply be a subtraction. It is like saying ‘the best life is the life we don’t lead’. This is a kind of neo-Malthusianism.”"
Texas is an interesting situation for those interested in the economics of electricity supply. They are isolated and fighting for a functional market (not contracting supply or creating a capacity market). This year they have raised the ceiling market price to $4500/MWh (from $3000). Alberta is similar, although it has substantial intertie capacity, particularly with adjacent provinces (it's cap is also only $1000/MWh). An issue in both is the addition of wind (which does have price exposure to markets in both) does not negate the need for other generation (as it can be absent when demand is highest), so the capacity factors drop elsewhere and potential suppliers have little visibility of how frequently their projects would be productive. Thus the need to allow very high rates to encourage the construction of peaking capacity. "It is almost August. That means Texans are avoiding the heat, air conditioners are cranking and electrical power demand is going through the roof. Hopefully, the power will stay on. "The United Arab Emirates will be the first among Gulf region Arab states to build a nuclear power plant after getting past an important permitting barrier this week. 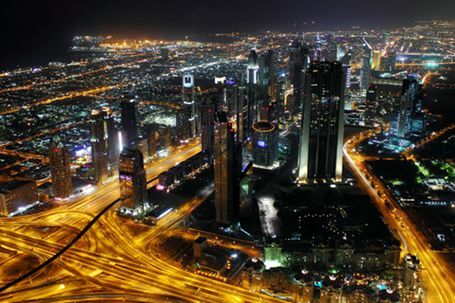 The UAE's regulatory body, the Federal Authority for Nuclear Regulation, will grant a license for the country's first two nuclear reactors to be built near the Saudi Arabian border. Emirates Nuclear Energy Corp. will spend $20 billion to build the power plant, construction for which has been contracted out to Korea Electric Power Corp. A total of four 1400 megawatt reactors are planned for the site eventually, and ENEC wants the first to be running within five years. By 2020, they want to provide as much as 20 percent of the country's power." It has rarely output any generation since summer 2011 (which was very dry in Ontario's northwest region). With an annual capacity factor of 3-4%, refurbishing it will save 90% of the almost nil emissions due to it not usually being fueled anyway. "Ontario is moving forward with the conversion of the Atikokan Generating Station from coal to biomass, creating 200 construction jobs and helping to protect existing jobs at the plant." Spiegel Online has an article which indicates Merkel's government is lowering expectations for the immediate future, while holding onto long-term (post next year's election) goals. In contrast to the following quotes, Merkel is reportedly noting "global warming will accelerate at a dramatic rate unless leaders reach a deal on limiting greenhouse gas emissions as soon as possible." National Inventory reports show that between 2005, when Merkel was elected Chancellor, and 2010, Germany's greenhouse gas emissions fell 6 %. ...two ministers, Environment Minister Peter Altmaier and Economy Minister Philipp Rösler, have cast doubt whether the targets are reachable and said their priority is to make sure that electricity prices don't rise too much. In the beginning the project proponent was known as the Korean Consortium. And it included Samsung and KEPCO. KEPCO, South Korea's publicly owned electricity company, was the transmission expertise. Apparently the Korean Consortium's expertise is in getting exempted from following the onerous processes Hydro One must follow. "In an interesting case that has been winding its way through the Ontario Energy Board (OEB), Grand Renewable Wind LP (GRWLP) ― which was formed for the purpose of owning and operating a 153 MW wind facility in Haldimand County ― was exempted from the obligation to obtain a transmitter’s licence for transmission connection facilities it intends to develop and operate to convey its wind generation and solar energy generated by a related company, Grand Renewable Solar LP (GRSLP)." Eastern Power et Greenfield South n'arrivaient pas à trouver de bâilleurs de fonds, malgré un contrat de 20 ans avec le gouvernement de l'Ontario pour l'approvisionnement en électricité. En 2010, la firme Morgan Stanley leur a refusé un prêt de 335 millions. De plus, deux des compagnies qui bénéficieront du dédommagement de la province sont des donateurs réguliers à la caisse électorale du Parti libéral de l'Ontario. Eastern Power, et son sous-traitant, Aberlici Construction ont donné, ensemble, près de 20 000 dollars en cinq ans au Parti libéral de Dalton McGuinty. En 2009, Eastern Power et Aberlici Construction ont fait don de 9000 dollars aux libéraux lors de l'élection partielle de Haliburton-Kawartha Lakes-Brock. Eastern Power garde aussi le terrain de Mississauga et le gouvernement lui fait aussi presque don du nouveau site de Sarnia. La compagnie n'aura qu'à payer un demi-million de dollars pour acquérir une parcelle de terre de 12 acres. I'd like to thank Google products for allowing me to read it in English. It was already known that the process would be restarted necessitating applicant to re-apply under the new system, so I assume SkyPower had a number of projects without local ownership on sites containing some workable farmland, or on lands planned for the development as settlement areas in municipal plans. The new dispute stems from the realization that the changes, which did not apply to already-approved projects, does in fact apply to those awaiting approval — those in the queue, to use Mr. Gilbert’s phrase. More detail on the CANDU6e approach to entering the UK market. 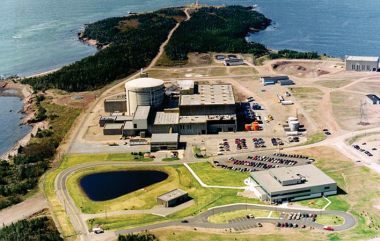 "The Candu Energy proposal to the UK Nuclear Decommissioning Authority for plutonium disposition envisions the use of four 700-MWe, generation III, Enhanced Candu 6 (EC6) reactors running on up to 100% mixed-oxide (MOX) fuel cores, a company spokeswoman said. In less than 30 years, the four EC6 reactors could burn through the UK’s 112 tonnes of plutonium and then be available for another 30 years to run on more conventional fuels, reprocessed uranium stocks or more advanced fuels. 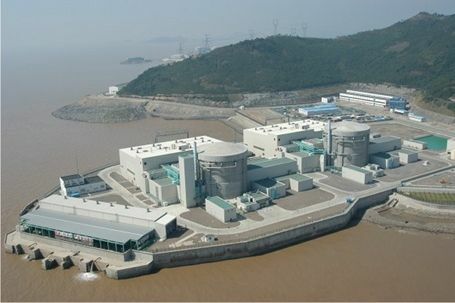 Candu Energy spokeswoman Katherine Ward said July 12 that the exact configuration of reactors and fuel mix would be considered in more detail as part of the study the NDA has contracted Candu Energy to perform." Another article from Australia which displays similarities to Ontario in shrinking demand, declining market prices and escalating retail rates. "In reducing my demand, I effectively create an oversupply in the market. And, as with any efficient market, prices respond with a signal to reduce supply. In fact recent market trends show that in addition to reducing the revenue in electricity sold by about $4, my turning off one 75 watt globe reduces the revenues of all other electricity sold by more than $10 across the year. So the net impost on the generator’s revenue is more than $14, most of which is profit. Still not too much of a worry, unless of course I am not alone. Multiply my action by 7 million, or about 1 in every 3 Australians, and generator revenue would be down more than 100 million dollars on a net reduction in demand of 65 megawatts. That is about 1% of expected annual wholesale market bottom line, but a much higher percentage of generation profits. Multiply that again by a factor of 10, and we are talking of losses in the billions, and a potential bankrupting of some leading industry players. And it is already happening." The Toronto Star article on the move of a a natural gas-fired generation plant from Mississauga to Lambton includes notification that the settlement may serve as a road map for a larger one. Projects were already in the works for Lambton ... and Nanticoke. The settlements punish public Ontario Power Generation for the government's adventures in privatization. The only memory of Sir Adam Beck in T.O. ... Bentley said the Oakville situation remains unresolved. “There are discussions going on with respect to the Oakville plant between the proponents and those discussions continue,” he said. Sources told the Star it appears TransCanada could end up getting the contract to retrofit the massive Nanticoke coal-fired plant to natural gas and a new pipeline to fuel it as compensation for Oakville." OPG was proceeding with post coal plans for both Lambton and Nanticoke. Ontario moves Toronto's Planned Generation to Lambton. The government has announced that the generation facility planned for the western GTA is being relocated to Lambton. "Today, I am pleased to announce that the Ontario Power Authority (OPA) has reached an agreement with Greenfield to relocate the plant. The government has accepted the OPA's recommendation to relocate the 300 megawatt natural gas plant on part of Ontario Power Generation's Lambton Generating Station site." The total cost of relocation is approximately $180 million. This includes a settlement agreement with EIG, the financier of the Greenfield South Power project, on behalf of Greenfield, the OPA and the Province. The settlement is necessary in order to relocate the plant and resolves all outstanding legal proceedings. The total relocation cost also includes all payments made in relation to the original site, including construction costs, design costs, and permitting costs. The "Do the Math" blog provides a great perspective on reducing personal emissions. It is data driven and can be technical, but some of the basic points I've gotten are it might be pretty simple to curtail driving instead of getting the ultimate gas guzzler - simpler to turn down the thermostat than invest in more efficient heating, etc. The author of the blog, physics Professor Tom Murphy, shares his data detective experience. TED is The Energy Detective. That same earlier post told the story of TED’s tortured journey to our home—a tale of excitement, rejection, and ultimate acceptance. This post is not meant to convey anything deep and meaningful about the energy challenges we face, except for the fact that those challenges provided a background motivation for me to explore and monitor energy data in my home (it should be obvious by now that I’m a data-holic). Rather, I will simply showcase a number of data captures from TED so you can see for yourself the interesting hidden behaviors of appliances, and develop some intuition about how much of a toll various devices take." Judith Curry picked up on an article from CRACKED, and added some comments relevant to the discussions featured on her Climate Etc. blog. "The Internet has introduced a golden age of ill-informed arguments. You can't post a video of an adorable kitten without a raging debate about pet issues spawning in the comment section. These days, everyone is a pundit. Read more at Cracked.com, or at Climate Etc. "Europe is burning coal at the fastest pace since 2006, as surging imports from U.S. producers such as Arch Coal Inc. (ACI) (ACI) helped cut prices 26 percent in a year and benefited European power companies including EON AG. Demand for coal, the dirtiest fuel for making electricity, grew 3.3 percent last year in Europe while sales of less- polluting natural gas fell 2.1 percent, the steepest drop since 2009, according to a BP Plc report. Germany’s EON and RWE AG (RWE), the biggest utilities in Europe’s largest power market, are considering shutting unprofitable gas-fired plants even as Chancellor Angela Merkel promotes gas to replace nuclear energy. Europe’s higher coal use defies its policies to penalize carbon emissions and is based on profit margins climbing to a two-and-a-half year high for coal-burning power stations, data compiled by Bloomberg Industries show. Cheaper coal was made possible partly by a 49 percent jump in first-quarter imports from the U.S., Energy Information Administration data show." This report is not news to everybody. There are 3 solar articles the caught my attention in the past couple of days. Two articles centred on Germany balance views on the costs/benefits of solar policies there, while a third from Germany displays the enormous market challenges presented by the large solar capacity that produces only a small share of overall power requirements.